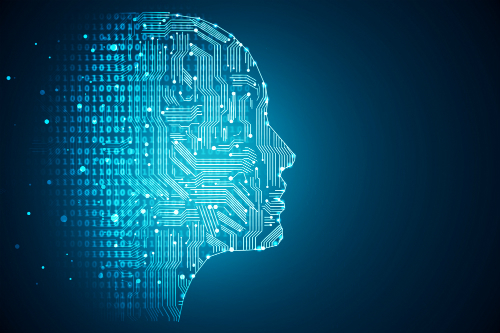 A new centre at University of Copenhagen, named SCIENCE AI Centre, will analyse and interpret data across sciences that have until now been too big or complex to analyse. A computer, with the ability to learn 100 times faster than a regular computer, is the power source in the new centre, which will, among other things, analyse and sum up massive amounts of imaging data from the universe to better understand its development. In recent years, telescopes and satellites with powerful lenses have collected massive amounts of imaging data about the universe. Images that contain important knowledge for the understanding of the development of the universe but which can easily contain more than one billion objects and therefore makes analysis by the human eye impossible. “There are problems and societal challenges that are so big that we never will be able to manage them by means of human intelligence,” says Mads Nielsen, Head of Department of Computer Science at University of Copenhagen and initiator of the new centre. With more than 100 researchers distributed at seven departments, the new SCIENCE AI Centre at the Faculty of Science, University of Copenhagen will strengthen data analysis and not least the interpretation of data across sciences through the newest research within artificial intelligence. “We will be creating solutions that allow artificial intelligence to improve other sciences in society. There are many research areas where data analysis becomes the bottleneck, because there are so many tools for collecting massive amounts of data, but not that many for interpreting and learning from the data,” says Mads Nielsen. With the help of new state-of-the-art equipment – a special computer with the ability to learn 100 times faster than a regular computer – researchers will be solving tasks across University of Copenhagen for sciences with tasks demanding comprehensive and effective analytical tools. Tasks that can open new territories for science and benefit society. “Previously we have divided data sets into many small pieces and then put them all back together again like a puzzle. But with this machine we can solve even bigger problems much faster,” says Mads Nielsen. The computer and its artificial intelligence can, for instance, be used to examine and find correlations in data within the health sector. For instance, the computer can analyse big amounts of brain MRIs with Alzheimer’s in various stages and learn which patterns recur. “The computer can identify if a brain shows signs of the disease and help the doctors make a diagnosis,” explains Mads Nielsen who, together with researchers from the Department of Computer Science, won an international competition at the prestigious American university MIT in 2014 by diagnosing Alzheimer’s with this method.